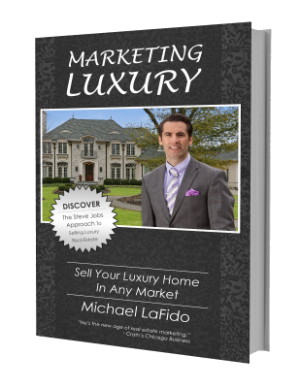 One of the most talked about real estate books in Chicagoland now on the verge of becoming one of the most talked about in real estate industry history. CHICAGO ­- The real estate industry is stuck in the past. Under­trained and part­-time salespeople lumber from home to home sporting signs and flyers. Hip agents speak of listing syndication. It’s not enough. Steve Jobs Approach to Selling Luxury Real Estate” which details Lifestyle Marketing ways to extract up to $200,000 or more of extra profit from homes. “The strategies outlined in the book including the Lifestyle Listing Video helped us sell our home for $500,000 more than the highest sold home EVER in our town,” a satisfied client, and former Wheaton resident. 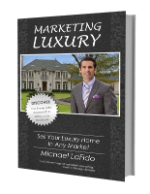 LaFido is not selling the book on Amazon or anywhere else. He is giving it away to anyone who agrees to make a donation to a charity of their choice ­on the honor system, of course.